Famous for its ancient Roman citadel, Majdal Anjar has long been a strategically placed town on the border between Lebanon and Syria. The majority Sunni town in the majority Shia Bekaa valley is often stereotyped as a hub for violent extremism, a reputation exacerbated over recent years. Marginalised financially and located in a sensitive region, Majdal Anjar’s sense of alienation is understandable. 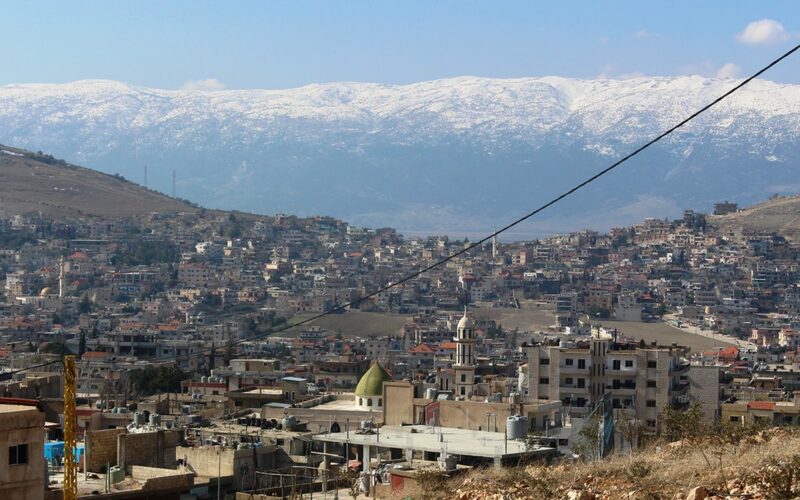 As a border town, Majdal Anjar has also witnessed one of the highest influxes of Syrian refugees, with approximately 25,000 fleeing conflict in their home country and settling in the town. With a normal-times population of 22,000, the impact of the Syrian conflict is significant, putting a severe strain on local resources such as health, education and infrastructure. There have been sensitivities between Syrian and Lebanese communities amid this context. Led by the Strong Cities Network, the establishment of Majdal Anjar’s Community Prevention Network (CPN) is an example of a grassroots initiative that challenges stereotypes about Majdal Anjar by organising a number of preventing violent extremism (PVE) focused activities, from youth camps to panel discussions. The assassination of former Prime Minister Rafiq Al-Hariri in 2005 divided Lebanon along two opposing political coalitions: the Shia-aligned March 8th movement, and the Sunni-aligned March 14th movement. More recently, the Syrian conflict has facilitated an influx of vulnerable refugees into Lebanon. According to the United Nations High Commissioner for Refugees (UNHCR), there are approximately 1,011,366 Syrian refugees in Lebanon. Inevitably, this has placed a strain on national government, raising myriad social, economic and political issues, from sensitivities between host and refugee communities to pressure on health services and infrastructure. Coupled with the fresh memory of Lebanon’s civil war from 1975 to 1994, sectarian tensions lay at the surface and civil society initiatives face the challenge of their work being defined along sectarian lines. Against this political backdrop, PVE initiatives work within the sensitive space of Lebanon’s social and political fabric. In 2017, the Lebanese government appointed the country’s first National PVE Coordinator focused on creating a holistic strategy to combat violent extremism. A National PVE Strategy was endorsed at the end of the 2017, and officially launched in early 2018. Majdal Anjar’s CPN holds a unique civil society organisation (CSO) multi-stakeholder setup. 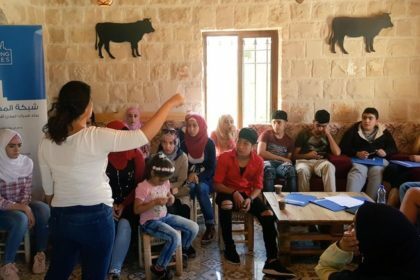 The CPN is particularly active, organising and delivering a range of activities and has chosen to focus on Lebanese and Syrian communities, with two target ages groups, 12-17 for youth and 18-26 for young adults. 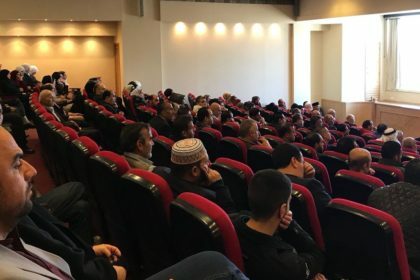 On November 19th 2017, Majdal Anjar launched its Community Prevention Network (CPN). 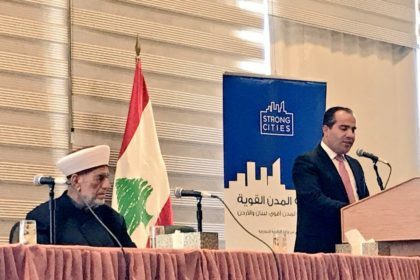 The launch was attended by more than 300 community members at Al Azhar Centre of the Bekaa region. 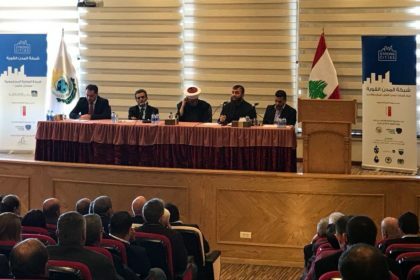 Attendees included high profile religious leaders such as the Mufti of Zahle and the Bekaa Valley in East Lebanon, the general director of Higher Education at the Ministry of Education and the Mayor of Majdal Anjar, Saeed Yassin. The CPN holds strong connections with Al Azhar, having published three PVE articles in the institution’s official local print magazine Azaher, with plans to publish more articles. The CPN also co-developed the ‘Local Guide for PVE work’; launched in May 2018 in the presence of the National PVE Coordinator Rubina Abou Zeinab, project partners and local stakeholders. In a series of sessions, the CPN organised PVE training for local teachers to raise awareness on PVE techniques to use in their classrooms. The CPN also delivered a 3-day youth PVE camp. The aim of the camp is to bring local Lebanese and Syrian youth to participate in art and sports activities, building and fostering peaceful and social cohesion skills to prevent the emergence of violent extremist tendencies among local youth. The camp was led by the CPN focal point Nidal Khaled, with the support of the Mayor of Majdal Anjar, Saeed Yassin. The Al Azhar centre of the Bekaa is a state-owned Sunni education institution.